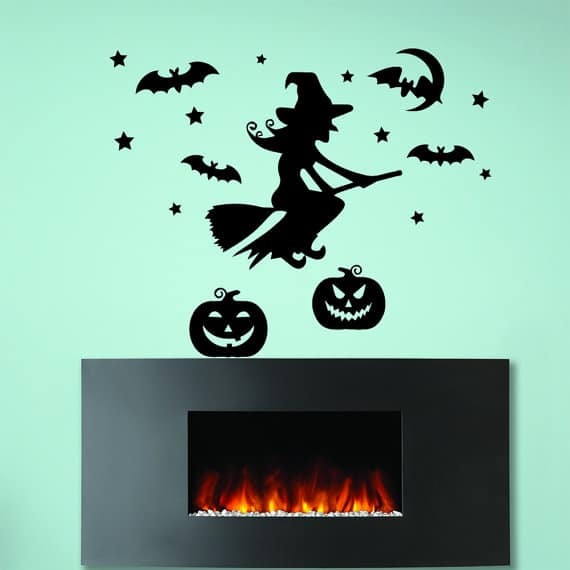 I love using Halloween wall stickers. Many of them are reusable. So if you’re super careful, you can take them down after Halloween, stick them back in the pack they came in or wrap with cling film and store them safely until next Halloween! Or toss them aside and make room to transform your walls for another year, with a different theme. 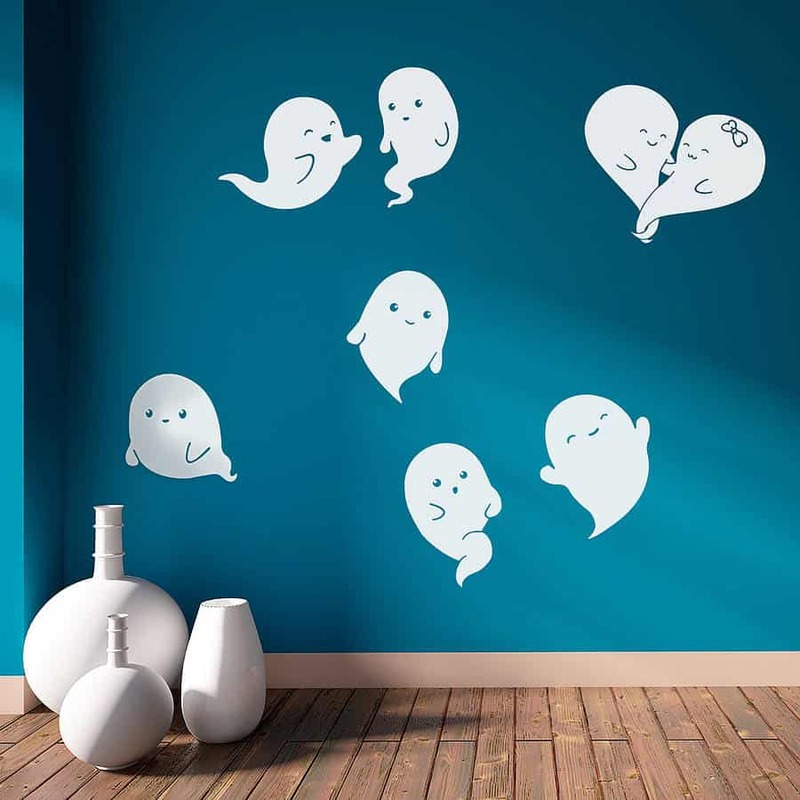 This year, we’re going for Ghosts, like this first wall sticker below…… They’re pretty awesome! 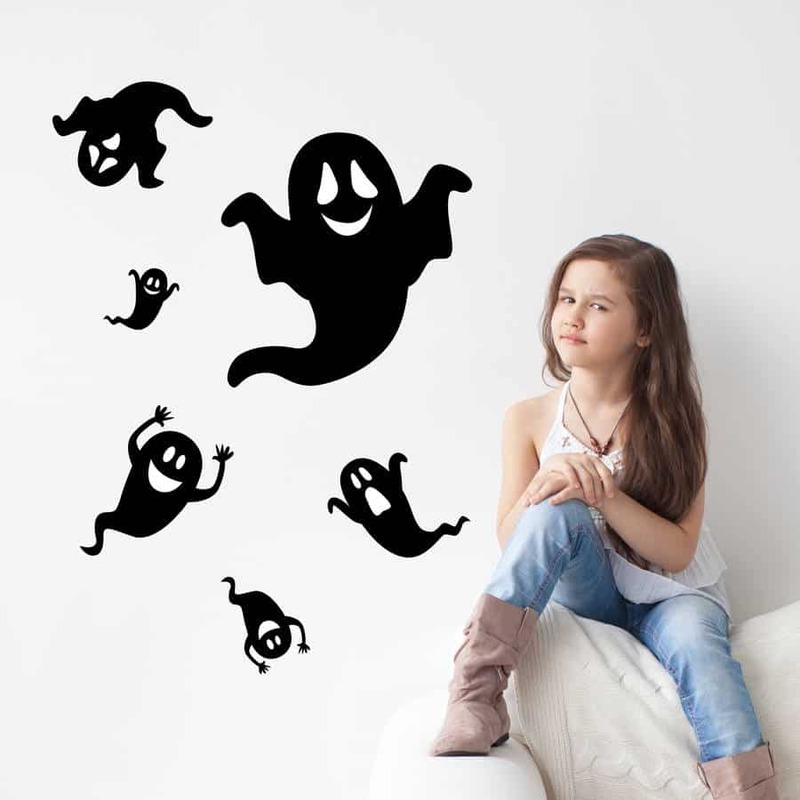 Halloween ghost wall stickers, perfect for adding an extra Spooky factor to your freaky Halloween decorations. 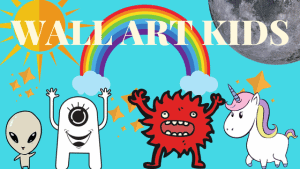 All Stickers are made to order, with the largest being 40 x 40cm and you can choose from a variety of colours. Great witch on a broom sticker, with added bats surrounding her. Easy to apply, with no damage to the wall. (w)42cm x (H)33cm. 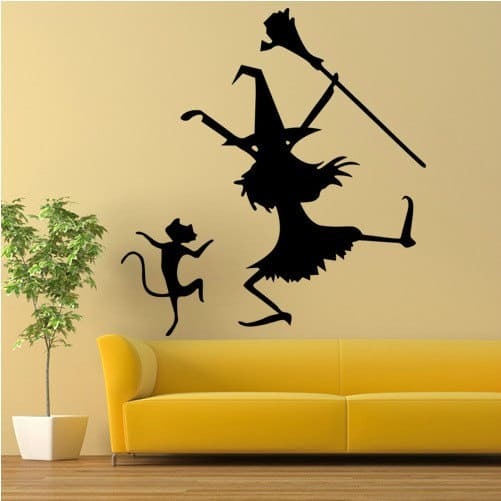 What about these adorable wall stickers? These stickers would be perfect for a kids Halloween party. The full sheet is 60cm by 90cm. 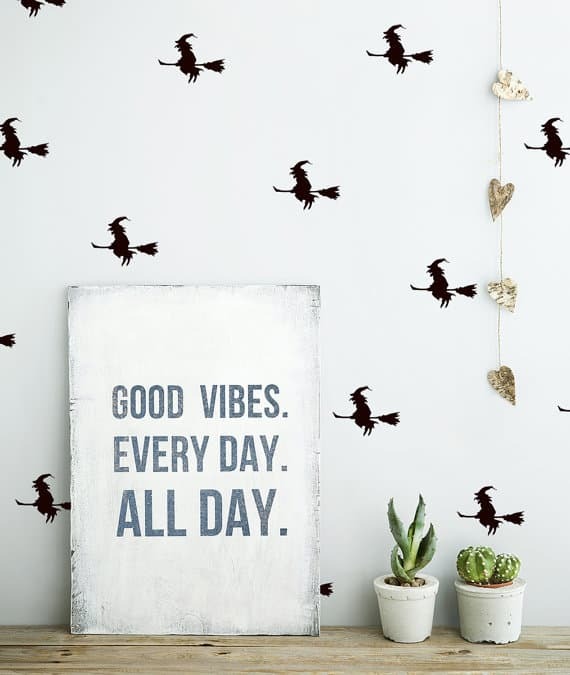 I absolutely adore this witch wall sticker! The little cat with her is gorgeous too. They come in two sizes, small W29cm by H30cm. Or Large W59cm by 63cm. There is also a variety of colours to choose from. 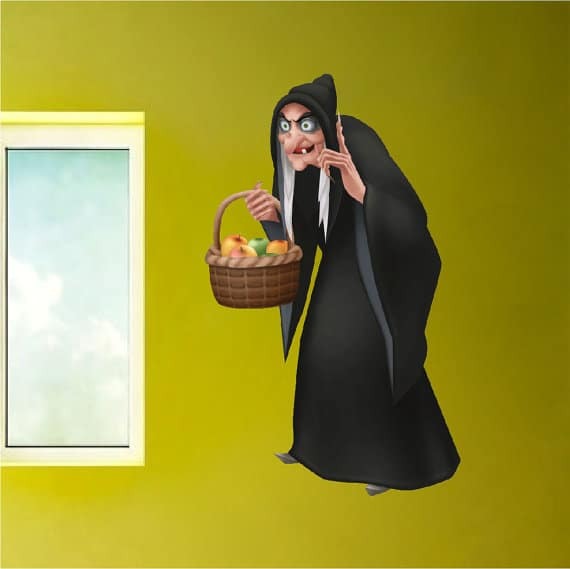 A snow white witch wall sticker! She comes in several sizes and is handmade to order, (12″x7″ 18″x11″ 22″x13″ 22″x36″) The sticker is reuseable, you can easily move her around and they mention that you may be able to customise features too – you just need to ask! 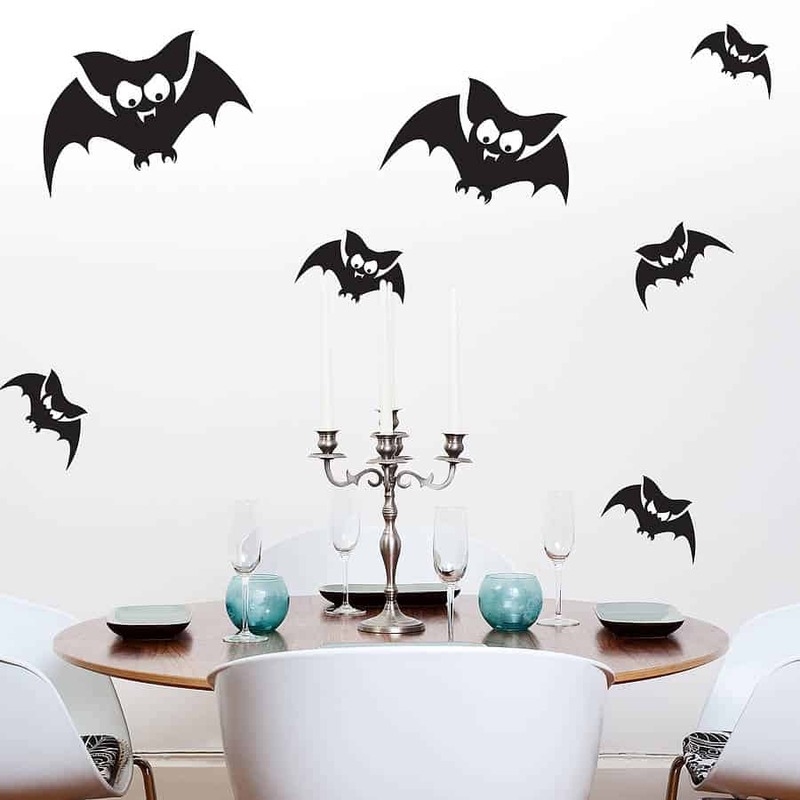 Amazing bat wall stickers, these look really impressive. These stickers are removable but not reusable. You can ask for a variety of different colours. Three different sized sheets available: 48 x 46, 75 x 71 or 96 x 91. 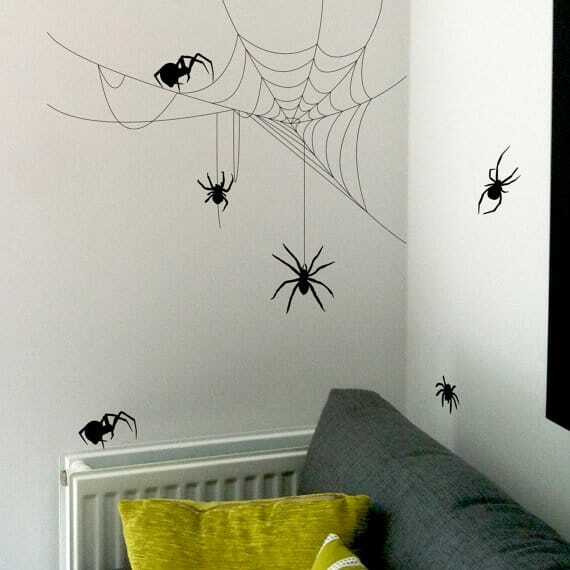 Some spooky spider wall stickers. The size of the cobweb is 57.5cm x 78cm. There are also 10 spiders of various sizes. 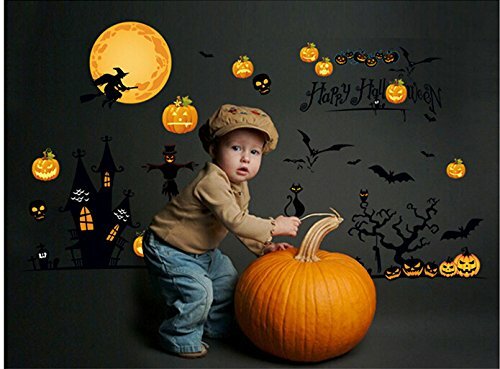 Super cute Halloween wall stickers, more suitable for younger children! Handmade to order with easy to follow instructions. six different sizes available, however they can change the size to suit you if you contact them. 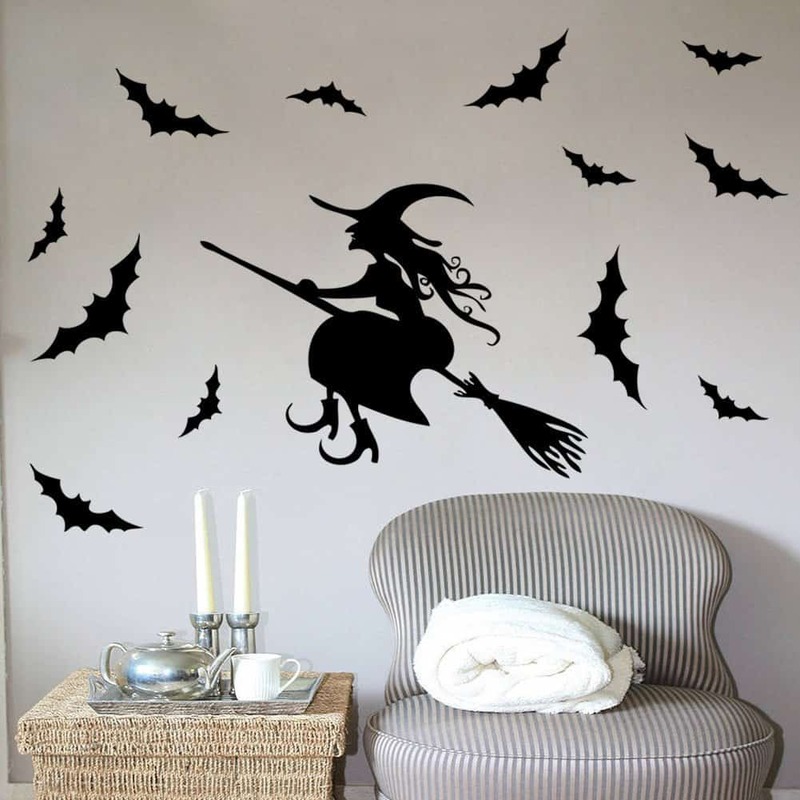 An adorable halloween set of wall stickers, containing a witch on a broom, stars, pumpkins, stars and bat wall stickers! There is a variety of colours to choose from. The size of the set is Size: 22”H x 27’’W inches. 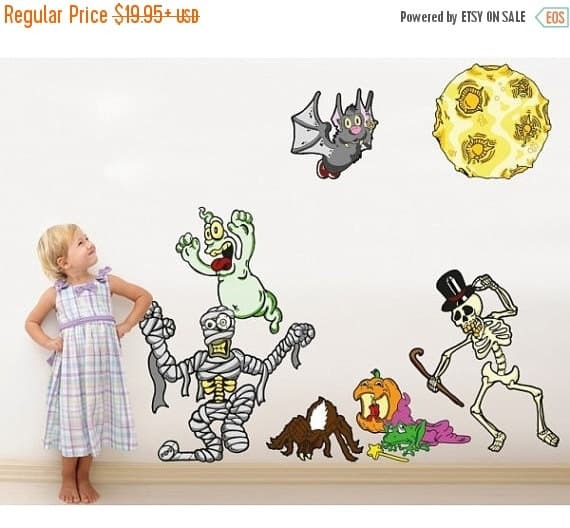 I find these Halloween Ghost wall stickers so cute and adorable! There are several colours available and 3 sizes too. Small: Largest Ghost: W13cm x H10cm, Medium: Largest Ghost: W20cm x H16cm, Large: Largest Ghost: W33cm x H27cm. You can also check out this Halloween Special post for more ways to Spookify your walls this Halloween. Check it out.